Located on the Bahia de Banderas bay, the second largest on Mexico’s Pacific Coast, the Fiesta Americana Puerto Vallarta exudes an unmatched level of tropical beauty. 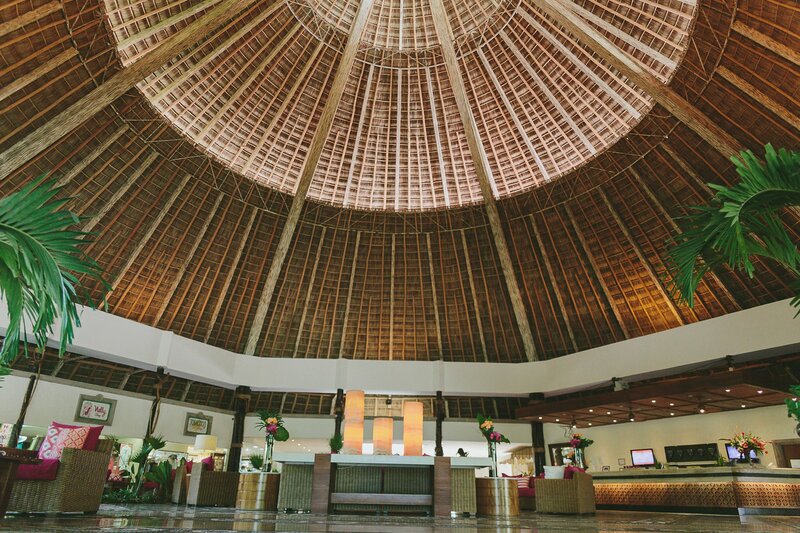 Although it is smaller in size, the resort offers upscale and modern facilities, decor influenced by the jungles and tribal art of Mexico, and one of the most beautiful stretches of beach in the area. 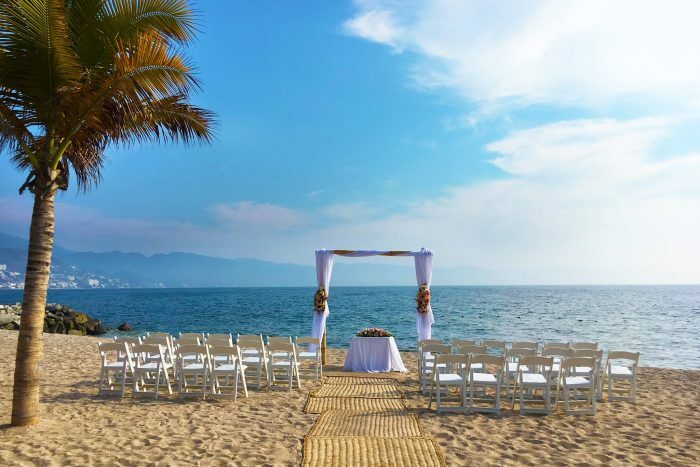 With the mountains of Puerto Vallarta surrounding the resort as well, your Fiesta Americana Puerto Vallarta wedding will be nothing short of magical. This resort offers one of the best beaches in all of Puerto Vallarta, pristinely kept and full of places to relax. The resort has a very calm nightlife but is within walking distance of downtown Puerto Vallarta which includes access to all kinds of shopping, tourist attractions, and culture. Have your wedding ceremony on the unique Sunset Deck and enjoy the incredible views of the Pacific Ocean and the mountain ranges that surround the resort. The entry-level package starts at $1300, welcoming just the couple. Further packages welcome more guests and offer more inclusions and the three highest-tiered packages include private receptions. Upgraded packages, additional guests, and add-ons are available for an additional cost. Rooms range from $110 – $145 per person per night. Every room includes wifi and a minibar. Most room categories only offer 1 king size bed. There are 291 total guest rooms some of which include views of the ocean or mountains. The buildings are 9-stories high, and the resort is not handicap accessible. Ballroom – 420 guests max, Pool Terrace – 400 guests max, Beach – 200 guests max, Garden Theater – 120 guests max, Sunset Deck – 50 guests max. The resort will host no more than 1 wedding per day, Monday thru Saturday. Ceremonies can be held at any time. High-season months typically include January, February, July, November, and December. It is always encouraged to have your guests book their stay 6 months in advance. 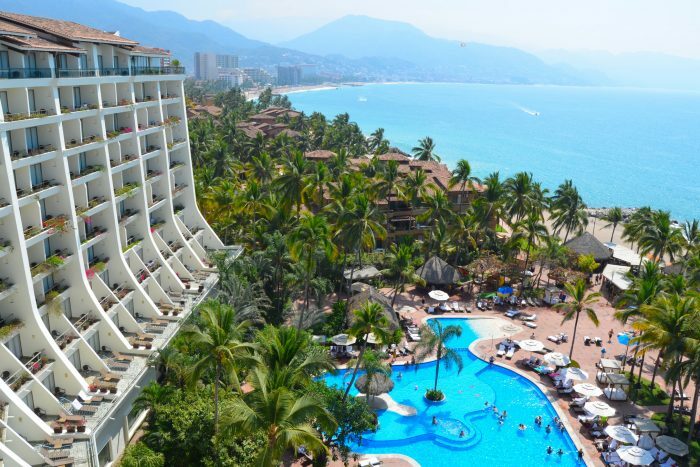 Fiesta Americana Puerto Vallarta is located 3 miles from the PVR airport. The resort is about 10 minutes outside of downtown Puerto Vallarta. 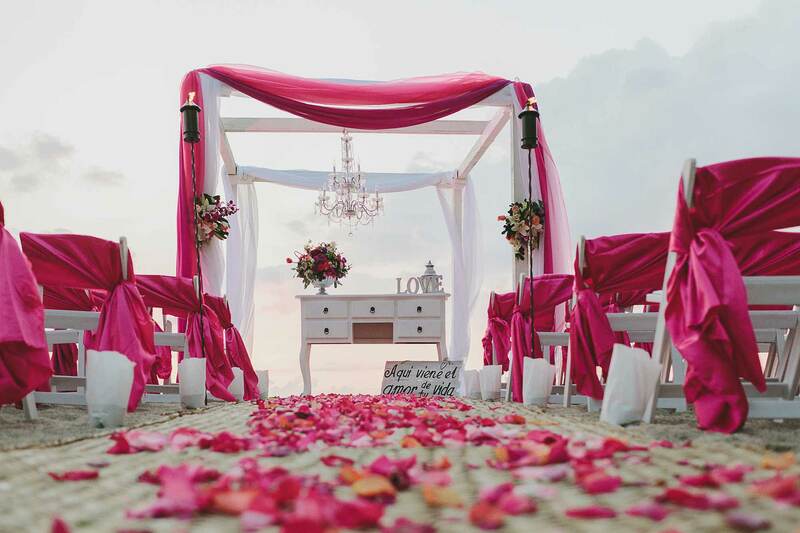 Q: What makes Fiesta Americana Puerto Vallarta such a great place for a destination wedding? A: The mountains of the Sierra Madre Occidental on one side, and the most beautiful beach in Puerto Vallarta on the other. Right at the heart of it all is the fabulous Fiesta Americana Puerto Vallarta All Inclusive & Spa, one of the most attractive and sought after hotels to be found anywhere throughout Banderas Bay, which is the second largest bay in the Pacific. Q: What compliments do brides typically give about Fiesta Americana Puerto Vallarta? A: The friendly, attentive staff at Fiesta Americana Puerto Vallarta All Inclusive & Spa who are ready to help make your dreams a reality. Q: Can you tell us about a time you saved the day for a bride? 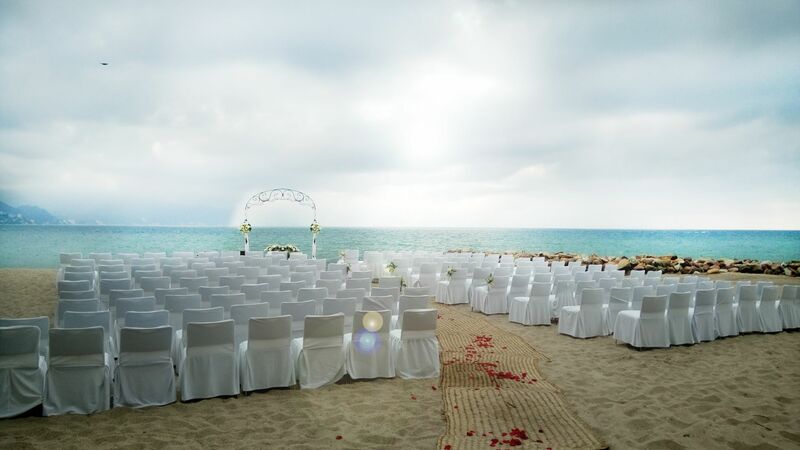 A: On one occasion we had a wedding in December (normally we do not have rain that month) and the ceremony and reception should have been on the beach. But when we saw the weather we contacted the bride and groom to request changing the venue. We had rain all evening, but fortunately we changed the venues and still had an amazing wedding! We always accommodate if weather is bad.